Why Does Muhammad Ali Jr. Keep Getting Detained at Airports? Ali’s legal battle, FIFA-branded teams in illegal Israeli settlements, and the first openly gay Division I scholarship athlete. Last month, the wife and son of Muhammad Ali—Khalilah Camacho-Ali and Muhammad Ali Jr.—were detained at a Florida airport and interrogated for hours about their religion and their names. 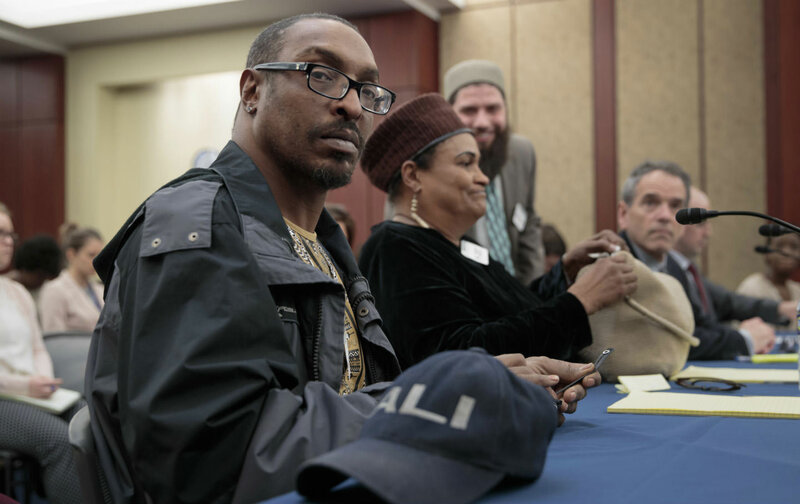 As if that wasn’t enough, last week Muhammad Ali Jr. was detained again at a DC-area airport. On this week’s episode of the Edge of Sports podcast, we talk to Chris Mancini, former US attorney and current legal representative for the Ali family, about how they’ll be challenging Donald Trump’s Muslim travel ban. We also have some “Choice Words” about FIFA-branded teams that exist in illegal Israeli settlements. We give a Just Stand Up award for My-King Johnson, the first openly gay Division I scholarship athlete—and a Just Sit Down award for Amar’e Stoudemire. Also, an all new Kaepernick Watch, plus more surprises in store!